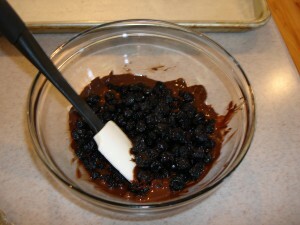 Refrigerate until hardened, about 30 minutes. 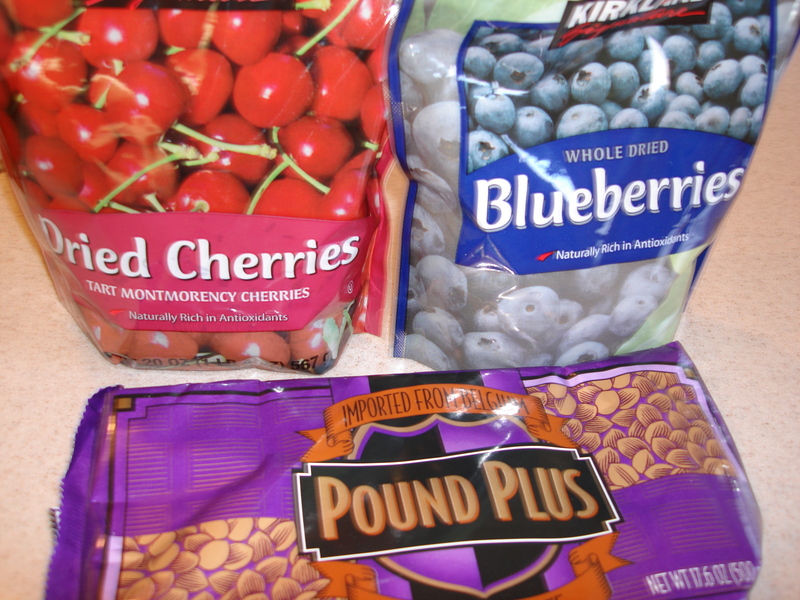 You can also use frozen berries. 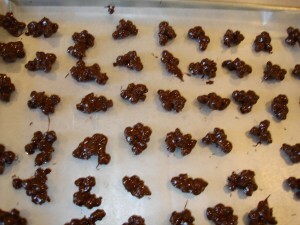 Work quickly to keep berries from thawing while coating with chocolate. Frozen and fresh berries will weep a bit but still taste great. If you want to have an even easier dessert, just pour rinsed fresh berries in a small serving bowl. 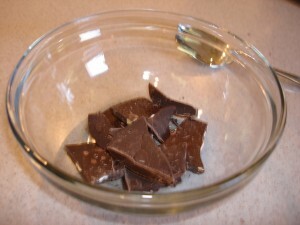 Put a small chunk of dark chocolate in a small microwave safe bowl. Place in microwave for about 20 seconds. Drizzle melted chocolate over fresh berries. This makes a beautiful and healthful dessert in no time at all. 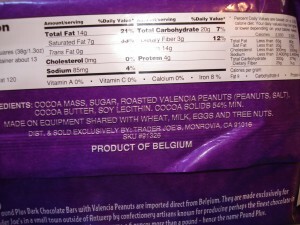 Try this instead of a bowl of ice cream when you are watching TV tonight. It’s low in calories and tastes great.